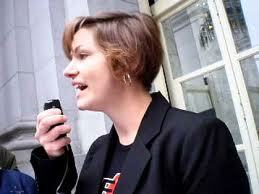 Loraine "Rainey" Reitman of San Diego leads the activism team at the Electronic Frontier Foundation. She is particularly interested in the intersection between personal privacy and technology, particularly social networking privacy, locational privacy, and online data brokers. She's also a bit obsessed with software patents. Prior to joining EFF, Reitman served as Director of Communications for the Privacy Rights Clearinghouse, a nonprofit advocacy and education organization promoting consumer privacy. She earned her BA from Bard College in Multidisciplinary Studies: Creative Writing, Russian & Gender Studies. Reitman is a founder and steering committee member for the Bradley Manning Support Network, a network of individuals and organizations advocating for the release of accused WikiLeaks whistleblower Pfc. Bradley Manning. Additionally, Reitman serves on the board of the directors for the Bill of Rights Defense Committee, a nonprofit whose mission is to organize and support an effective, national grassroots movement to restore civil liberties guaranteed by the Bill of Rights. She is also a steering committee member of the Internet Defense League, a netroots coalition working to fend off threats to the free and open Web. Reitman is also Chief Operating Officer and co-founder of the Freedom of the Press Foundation, a nonprofit organization that crowd-sources funding to supporting unique, independent, nonprofit journalistic institutions. Loraine Reitman is leading the nationwide effort in support of the soldier accused of being behind the WikiLeaks revelations. For Loraine Reitman, if Manning is in fact the man behind the leaked information, she said, "I think he's a hero and we should all recognize that." Military leaders believe Manning, who is facing a court-martial and a sentence of more than 50 years, is the source of 77,000 classified Afghan war reports posted on the WikiLeaks website. "I think we are starting to understand the war in a way we never understood before," said Reitman, a writer with a local nonprofit. 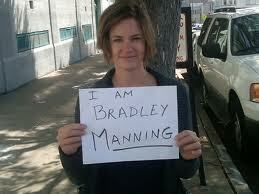 She said the video compelled her to join and become a leader in the Bradley Manning Support Network. So far, the group has raised $50,000 from more than 700 donors for Manning's defense. "If there's information that leads to troops being harmed, doesn't that fit the definition of being a traitor?" asked 10News' Michael Chen. Reitman replied, "I believe the information is old and not sensitive. I think he was standing up to injustice within his own system." "If we don't know what's going on in Afghanistan, how can we possibly make decisions about whether or not we should be there? I believe I am a patriot. I'm standing up for the best interest of America," said Reitman. On Day 4 of global days of solidarity and support for alleged WikiLeaks whistleblower, Pfc. Bradley Manning, "San Diego activists & advocates of peace & transparency will take to the streets for a protest and rally calling for the release and justice in the case of this brave young hero or scapegoat and to make our voices heard that EXPOSING WAR CRIMES IS NOT A CRIME! TRUTH IS ESSENTIAL TO DEMOCRACY!" Marjorie Cohn: Professor of Law at the Thomas Jefferson School of Law, San Diego, California, author and a former president of the National Lawyers Guild. This page was last modified on 28 January 2015, at 10:41.